A coalition of industry groups representing the nation’s biggest telecom providers filed a federal lawsuit on Wednesday seeking to overturn California’s newly minted net neutrality law. 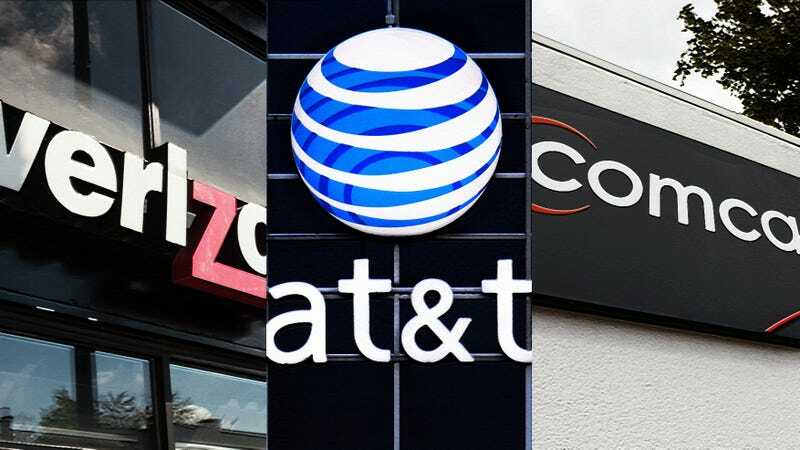 Four lobbying groups representing companies such AT&T, Comcast, T-Mobile, Sprint, and Verizon, among others, have asked a U.S. District Court in California to find the state law unconstitutional and conflicting and superseded by existing federal law. California Senate Bill 822 was passed last month by the state legislature and signed on Sunday by Governor Jerry Brown. The law, known formally as the California Internet Consumer Protection and Net Neutrality Act of 2018, effectively restores the Obama-era net neutrality protections repealed by the Federal Communications Commission in December, prohibiting internet service providers (ISPs) from selectively blocking or throttling traffic to websites and services. The law prohibits ISPs from imposing access fees on app and content providers in order to reach end users, regarding the practice as a form of illegal blocking; prohibits ISPs from purposely congesting web traffic in attempts to exact unreasonable fees from companies that connect users on ISP networks to other parts of the web; and further bans certain “zero rating” schemes in which ISPs incentivize the use of apps and services from which they exclusively profit. The lawsuit, filed with the U.S. District Court for the Eastern District of California, claims that California’s effort to restore net neutrality contravenes federal law, and in particular, the Restoring Internet Freedom Order passed by the FCC’s Republican majority in December. (The order, which repealed net neutrality as law of the land nationwide, went into effect this summer.) Moreover, the industry plaintiffs argue that California has violated the Congress’ authority to regulate interstate commerce, an enumerated power granted by the U.S. Constitution. Wednesday’s complaint names the plaintiffs as CTIA, the mobile industry lobby; NCTA, the internet and television lobby; the American Cable Association (ACA); and the Broadband Association (USTelecom). California Attorney General Xavier Becerra, in his official capacity, is named as a defendant. At its core, the case will be one of several major corporations attempting to overturn a law passed by a state legislature with bipartisan support to uphold a set of widely unpopular rules passed by three Republican officials that were elected by no one.